All Mastic offer a wide range of services to the construction industry in sealant application, from the domestic applications to high end commercial, industrial and residential projects. such as Arbo Master 10 year warranty. All Mastic have been delivering projects on time and in budget to a high standard since 1992. We pride ourselves on a fully qualified staff. Our team is led from the top down by our Managing Director, our Technical Director is currently Chairman and Training Officer of The Association of Sealant Applicators a qualified assessor, trainer and Assessment Quality Manager, with more than thirty years’ experience in senior management in the construction industry. Our Contract Managers are all construction related qualified, with decades of experience in the sealant industry. Our Training Manager is a qualified NVQ assessor and trainer. 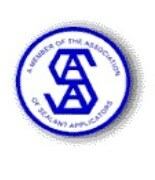 Our supervisors are trained to a NVQ Level 3 in Joint Sealant Application. Our Application staff are all qualified to NVQ Level 2 in joint sealant application, with many other cards/certificate for example: PAL, IPAF, Asbestos Awareness, First Aid, etc. All our Directors, Managers and Applicators have CSCS cards. If you are looking for training and qualifications in joint sealant application as an individual or as a sealant company for your employees, we have more detailed information on the next pages.